Because every life is special and beautiful, every funeral must celebrate the unique ways through which that life spread joy to those around them. If you have lost someone special, consider these options for celebrating the happiness and good that they brought to the world. If your loved one is elderly or in hospice, then you will have a chance to plan how they want to be remembered and memorialized. Take this valuable opportunity to connect, heal, and celebrate life. Many people have strong opinions about how they want their funeral to be. Some don’t want their mourners to cry, while others want their rock collection on prominent display. Talk to your relative about their funeral service and, if they are willing, plan it together. Emotional support is critical when a loved one is ailing. 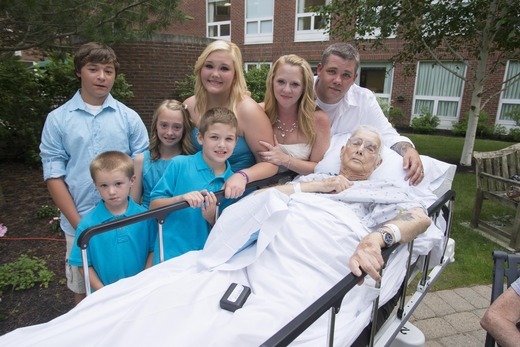 Gather your family in the presence of the dying person and share what they mean to you. Praise their life and remind them of their accomplishments and of the good memories you share. While it may seem strange to throw a party as your loved one is dying, it may be exactly what they want: a proper send-off where everyone is happy and loving, to commemorate a life full of joy and happiness. If your loved one is young, then they may have unfulfilled wishes that you can help them see through. These can be trips, activities, or experiences that they planned to do someday, but never got around to. Make your memories together and preserve them in souveneirs, photographs, and recollections of truly wonderful times had together. Though dying is a part of life, nobody finds it easy. Many hospices and care facilities have counselors available to help you and your loved one through the process. Embarking on this process together can be powerful, healing, and redemptive. Now is the time to talk about the important things that you have shared with your loved one, even when those haven’t been positive. Air and settle your disagreements. You’ll be amazed at how much better you feel. Though it may sound cold, remember that you will be too emotionally overwhelmed to plan your loved one’s funeral after their death. Know your funeral parlor, calling hours location, and other details before your loved one passes away. Modern technology gives us the incredible power to keep our loved ones with us. If your loved one is able, have them talk about their memories on film or audio. Save these files, copy them to CDs, or upload them to the Internet Archive or Wikimedia to preserve your loved one’s wisdom for future generations. Sharing a meal is a powerful symbolic and emotional statement that will comfort both you and your loved one. Serve and share their favorite foods. If possible, prepare the meal together, even just a little bit. Try to eat in a place that is meaningful to everyone, such as in a home dining room or a restaurant that has hosted important family events. Calling hours are the best time to pay homage to the departed person’s memory. 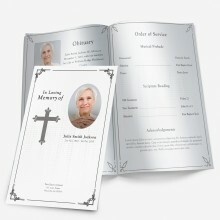 Guests can talk freely about their departed loved one or share in memories of the person’s life. This is the time that people will take solace in each other and talk about the past. Many people have a certain plant or flower that is particularly meaningful to them. Ask your guests to bring bouquets consisting of this flower when they come to calling hours. Recently, many people have started to ask guests at their funerals to donate money to a good cause in lieu of buying flowers. This new practice is more environmentally friendly, more community-oriented, and gives the departed new life if donations are made in their name. Did the deceased collect action figures? Stamps? Butterflies? If so, display those collections at their calling hours to remind everyone in attendance of the richness and beauty of their life. Memory stones and other small, permanent, personalized keepsakes can comfort bereaved family members and help loved ones remember their departed friend and relative. Consider getting a memorial that you know your loved one would appreciate. For example, if your loved one took time with her appearance, consider passing out small pieces of jewelry. Many bereaved friends and family of the departed will miss the communication that they once enjoyed with their loved one more than anything else. Ask everyone attending the calling hours to contribute letter, postcard, or even email correspondence. This will not only provide comfort to everyone present, but will remind all in attendance of the unique humor, wisdom, and point of view of the departed. Allow calling hour attendees to bring photos of the departed. Set aside a corkboard, posterboard, or an empty patch of wall for people to hang their photos. The result will be a tapestry of your loved one’s life, a visual symbol of the joy they brought to their community. Memorial cards are not new, but modern technology allows you to order special cards that will sprout new life when planted and watered. Allowing your loved one’s memory to regrow can be a beautiful symbol of rebirth for survivors who struggle to come to terms with their loss. Calling hours aren’t about your loved one’s death, but about their life. They can and should be held anywhere you know that they were happy and fulfilled. If that happens to be a garden, park, or path, then those might be good places to remember the life you shared together. For people with profound memories of the deceased, a memory tree can be a tremendous comfort, representing new life and steadiness while honoring the departed. Memory trees are both simple and beautiful. Have everyone who comes to calling hours write a memory on a piece of paper and hang it on the tree. The results can be collected and bound into a book for preservation. Whatever your loved one liked to eat, there’s no question that they would want that dish served at calling hours. Food is also a powerful symbol of togetherness and family, and the scent of food can trigger happy memories of holidays and mealtimes spent together in mourners who cherish the times spent with the departed. The memorial service for your loved one is the active celebration of their life, a chance to both cherish the good times you had together and to allow the bereaved to begin the healing process. Any of these ideas will make this ritual not only an important ceremony, but the first step on the road out of grief. Images of the departed at different points in their life will cheer those left behind and remind them of their loved one’s rich and happy life. Think of how the dearted would have wanted to be remembered. Make sure and choose a few clips that will make the viewers laugh! Eulogies are very common, but everyone who comes to a funeral will have something to say about the departed. Don’t limit yourself to just one speaker. Allow everyone attending the funeral to write a single sentence about the departed and read it in front of the assembly. For a bookworm’s funeral, few gestures are as profound as a reading from their favorite piece of literature. Whether that work is Watership Down or Harry Potter, a selection from its pages will move everyone present. For some people, music is as much a part of their lives as food and friends. At the service, remind everyone of the deceased’s love of Mozart, The Four Seasons, or Van Halen by playing an appropriate song from that artist. Just like with calling hours, your loved one’s memorial service need not be held indoors. If you know that they were happiest in the open air, talk to your celebrant about arranging an outdoor memorial. One of the most powerful symbolic gestures is the sharing of light. Give everyone in your memorial service an unlit candle. Then, ignite one mourner’s light and have them pass the flame on to the candle being held by the person next to them. Let your funeral party continue doing this until everyone present is holding a flame, just like they will all hold the memories of your loved one. Though the celebrant for a memorial service is traditionally a religious figure, many families who are not religious prefer to ask a close friend, spouse, child, or relative to officiate a memorial service. This can be even more meaningful, since a celebrant of this type might have deeper feelings for the departed than a chaplain or reverend might. Of course, if your loved one was close to a clergyman already, the best choice might be to ask them to celebrate their memorial service. 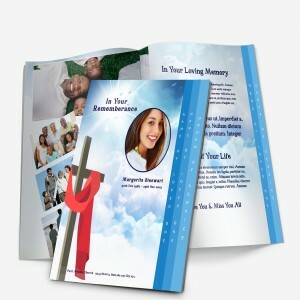 Though everyone in attendance will remember the eventful life of the deceased, funeral programs full of their most important milestones will encourage people to talk to each other and open up about their own memories. This sharing is crucial to the healing process and will bring your funeral party together in a way that would surely have pleased the departed. Direct involvement in the service itself can also be healing for family and loved ones. When the time comes to pass out memorial cards, carry the coffin, and do other small tasks associated with the service, have people who were close to the departed pitch in to help. Silence can be profound. Allowing mourners to meditate quietly for an hour can give them the time they need to say goodbye in their own way. This type of service has the added benefit of being nondenominational, guaranteed to lend comfort to bereaved of all backgrounds and religions. This is the time to say goodbye. Though it can be extremely emotional, the burial can also be an important time of reflection, release, and healing. If your loved one treasured a certain piece of jewelry, a photograph, a keepsake, or another small item, consider burying it with them. This allows you to give them a “send-off” gift and retain your connection with their memory. A person is more than just a name, so why do we write so little on headstones? Consider adding an inscription that describes your loved one’s life and passions. When a loved one dies, the most painful part of the separation is that we can never speak to them again. Write a letter to the departed and put it inside of a helium balloon. At the burial, release the balloon into the sky so that wherever your loved one is now, they know what you want to say to them. This ritual is particularly ideal for children. One of the oldest practices in human history is burial with flowers. 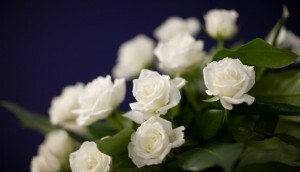 Allow every member of the funeral party to place a flower onto the deceased’s coffin to say goodbye in a personal way. Modern technology has expanded the possibilities for remembrance of the departed. Gravestone chips have the power to let your loved one’s visitors connect to a web page about their life via their smartphone or tablet. Mere burial is a process that not everybody signs onto, particularly in these eco-conscious times. In accordance with the wishes of the departed, Poetree can grow new life from the ashes of your loved one’s body. Not everyone wants to be buried. True outdoorspeople may wish for their ashes to be scattered on a hiking trail, a waterway, or a mountain that meant a lot to them in life. Others may want their ashes scattered in a special destination, like the beach. Depending on the funeral party, you may want to ask members to accompany you as you travel to scatter your loved one’s ashes. Scattering is not legal in some places, so make sure and check with local parks and recreation departments before embarking on your last journey together. Bio-cremation is a new phenomenon, but it’s already gaining in popularity among the eco-conscious. Where burial, or even cremation, can have a negative impact on the environment, bio-cremation, a process where the body of the deceased is dissolved, is far better for the environment and an especially good choice if your loved one was devoted to sustainability. Another popular environmentally friendly option during this difficult step is natural burial. This traditional farewell allows your loved one’s body to return to Mother Earth without the hinderance of preservatives and metal coffins. The sea is where all life comes from, and some people live extraordinary lives upon the waters. When your departed loved one has a strong connection to the ocean, either as a sailor or a swimmer, a burial at sea can be a poetic way to celebrate their life. Our loved ones never truly leave us as long as our memories of them remain. Keep your departed family and friends close to you forever with these small gestures. Candles light the way for travelers and represent the soul. By keeping a candle in a special place, you will keep your loved one alive in spirit for all time. Some people place candles in a small cubby in their home, a shrine, or a special window. Graveyards are often mown by groundskeepers, but you might want to add some flowers, a photograph, or a small decoration to your loved one’s gravesite. This practice allows you to visit them often and to meditate on the good times you shared together. If your loved one has opted for cremation, then consider having an urn custom-made. Custom urns can represent aspects of their life, stand as impressive memorials, or simply exist within your home as a comforting reminder that the departed are with us in memory. Donating money in your loved one’s name can keep their legacy strong for years to come. Plaques on schools, churches, and libraries, as well as titles of scholarships, can even keep their name alive and associated with social good. If your loved one has money when they die, consider working with their estate to set up a fund that will continue helping the world become a better place for many lifetimes. Even as we lose loved ones, we gain new family. When a baby is born, consider naming them after your departed. A regular moment of silence, especially on the anniversary of the deceased’s birthday or departure, can be a powerful reminder and moment for reflection throughout the years. Many survivors will also hold a moment of silence during events that were meaningful during their love’s one’s life, including sports events and family get-togethers. Many traditions hold that departed souls return home for important occasions, such as weddings and the births of children. When you wish that your loved one could attend an important event, set a place at the table for them, complete with a photograph, to remind everyone that they are there with you in spirit. Most people want their friends and relatives to continue enjoying life even after they themselves are gone. Inhabit this sentiment by playing the favorite song of the departed at events. Encourage friends and relatives to join in singing, dancing, and cherishing the good times that you all remember. Hanging a picture is a simple action, but the meaning is deep. Choose a picture that reminds you of the best times in your lives, even one that includes you too. Publishing has become easier than ever with the Internet. To remember your departed loved one to the world, write about them. Use a free or low-cost platform, such as Smashwords or Amazon, to publish your memorial and remind your loved one’s friends and family of their loved one’s remarkable life. There is no rule that states that you need to charge money through these platforms – indeed, many people give particularly meaningful works away for free. If the departed lived a truly inspiring existence, their memory may go on to inspire readers across the world this way.